Peacock Blue glass pearl beads 16mm side to side drilled. 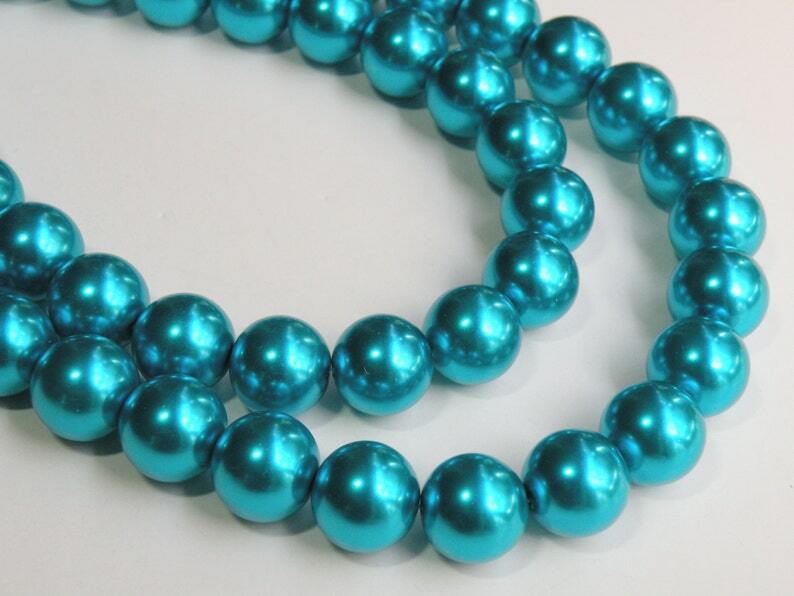 Glass beads with pearl coating which is heated for a durable finish. Glass pearl strands of 4mm, 6mm, 8mm, 10mm, 12mm, 14mm, & 16mm are all available in white, cream, ivory, beige, bronze, chocolate brown, light pink, pink, dark pink, peach, gold, light yellow, mint green, olive green, teal, light blue, turquoise blue, peacock blue, denim blue, lilac, violet, silver, and pewter. Colors may vary slightly from strand to strand due to different dye lots.